Through its grand themes, the Bible presents a foundation for learning in all disciplines.1 Biblical themes are as applicable to professional training programs as to learning in the humanities, sciences, the arts, and technical/vocational areas. The purpose of this article is to introduce 12 grand biblical themes that provide relevant scriptural foundations for curriculum in Seventh-day Adventist education. The themes introduced here can permeate the curriculum at all levels. Interweaving these themes with learning also offers the potential to strengthen the way in which Seventh-day Adventist education differentiates itself from other educational systems. This article is divided into three sections. First, it explains how particular biblical themes were selected for consideration. Second, it summarizes each theme. Third, it provides examples of how these themes can be applied in the teaching/learning process. The character of God. Many times, the elements of God’s character are mentioned explicitly; other times, the Bible writers describe God’s character in action. The restoration of the image of God is a process of divine re-creation but involves the cooperation of persons in community who intend to imitate the character of God in all contexts of life.3 In addition to his explicit call for imitation, Paul pre­sents this process as putting on “the new self,”4 a transformation process,5 letting the word of Christ dwell in us,6 and having Christ live in us.7 The proc­ess of renewal is described in other ways in Scripture, too: letting the law, the transcript of God’s character, restore us8; beholding God’s character and becoming changed.9 It is argued here that if the imitation of God’s character is relevant to humans, it must be relevant regardless of social context or of par­ticular activities. It must also be broadly relevant to the curriculum in an educational institution. The identity of Jesus Christ and His work. The central figure of Scripture, it can be argued, is Jesus Christ. The clearest visible expression of God’s character is Jesus Christ, His identity, and His work.10 We are encouraged to develop a personal relationship with Him, but the Person with whom we have this relationship is not just any person. He is God incarnate, in action! To build a Christ-centered curriculum, elements of who Jesus is and what He has accom­plished must be interwoven into the curriculum. As a group, the themes discussed are one way to keep Jesus central in curriculum planning since, collectively, they reveal who He is and what He is all about. The believer’s conduct. Theory must translate into practical action.11 Scripture is not lacking in this regard, although it does not address human actions in every social context. But there are themes of Scripture that serve as signposts indicating the direction that actions should take. These signposts, consistent with the character of God, can be emulated in action and are related to the identity of Jesus Christ.12 Interestingly, most of the themes explored in this article are action-oriented themes in the Bible. More than mere words that appear hundreds of times in Scripture, the words carry a load of content that represent the warp and woof threads of the Bible’s message. The rich, theological meaning of the concepts provides a biblical foundation for curriculum. These themes are grounded in the writings of Moses, which are extended and further developed throughout the Bible. Moses provided the first content to the ideas, and other writers added richness and nuances by applying them to different situations. The themes are present in biblical narratives, historical accounts, teachings, poetry, the writings of the psalms, proverbs, and prophets, and in apocalyptic literature. In another example, King Solomon connects particular elements of God’s character, namely His lovingkindness (from the Hebrew word hesed) and truth (from the Hebrew word emeth) with the success of an earthly political ruler, the king: “Loyalty [hesed] and truth [emeth] preserve the king, and he upholds his throne by righteousness [hesed]” (Proverbs 20:28). In this example, Solomon uses repetition to reinforce the point that loyalty and faithfulness are key qualities of a top-level leader. As will be illustrated below, this has potential for application in a variety of fields of study. 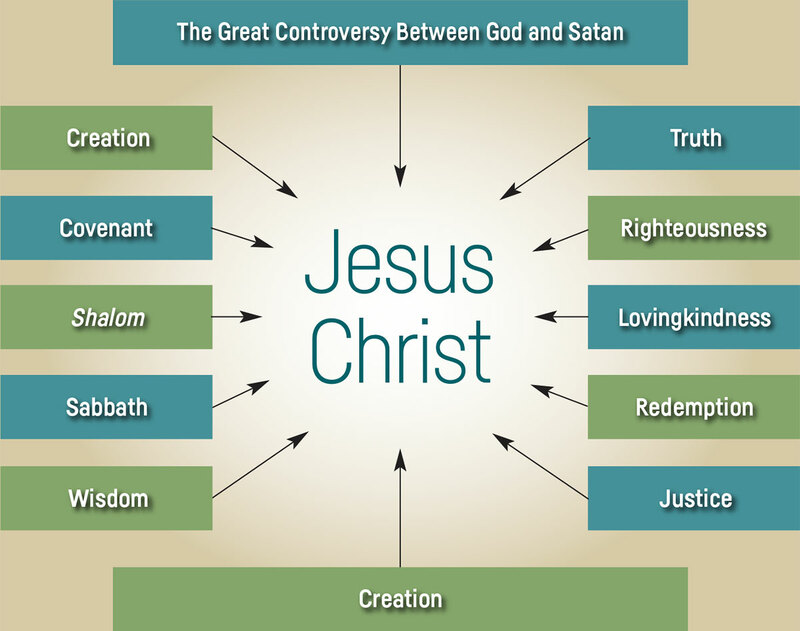 In the New Testament, we also find examples of themes presented in clusters. Here is one where Paul pre­sents the identity of Jesus Christ in terms of themes that originate from Old Testament writers: “But by His doing you are in Christ Jesus, who became to us wisdom from God, and righteousness and sanctification, and redemption” (1 Corinthians 1:30). The grand themes considered here are the capsules carrying the central messages of the Bible. They are rele­vant to social relationships and our connection with the physical en­vironment. They assume the validity of the created material world, the practical dimensions of life, and the economic dynamics in society. They apply to many pursuits of life, both vocational and avocational. To benefit from this introduction, the reader is encouraged to study each theme more deeply with the goal of more fully understanding the richly textured ideas that each theme con­tains. For some not trained in biblical studies, this may be a challenge. It can take time for the insights from these themes to take hold! Because of the many ways that each theme is used by various Scripture writers, the themes themselves defy oversimplification. There appears to be no substitute for the study required to become steeped in biblical thematic thinking. On one side of the great cosmic conflict we find God and how He manages when His creatures disagree with His plan for a flourishing life. In this Great Controversy, God is the Life Giver and Sustainer of communities. He encourages freedom but not ab­solute autonomy, which would lead to chaos and anarchy. He desires for all humans a flourishing, abundant life. God is compassionate even to those who reject Him. He heals and rec­onciles. His authority is founded on character traits of wisdom, truth, righteousness, justice, lovingkind­ness, and redemption. He judges without bias, and provides no cause to discredit His authority. The sanctity of life and the moral authority of God were established at Creation. Creation is the first event where humans were chosen to be a blessing to others. Everything that humans do in service to others involves something that came directly from the hand of Christ the Creator-Redeemer. The Creator gave humans the commission to work as rulers and servants. Through these dual roles, we can be co-workers with God in re­alizing the full potential of the earth’s fruitfulness. Thus, the earth with its resources is not merely something to exploit for profit; the earth is holy, set apart for life-sustaining service to God. Throughout the Bible, the theme of creation is transformed into the theme of re-creation and restoration. Soon after Creation, we learn that restoration is needed. This restoration becomes one of the goals of God’s plan of redemption and the great object of life.19 The Bible concludes when God creates a new heaven and earth after the final scenes of the cosmic conflict. Holiness in Scripture refers to a fundamental element of God’s character. God is so far from sin and evil that He cannot tolerate it. His holiness drives Him to act with justice toward evil. Paradoxically, it is His holiness that infuses His love with actions of grace toward us. Faithfulness and trustworthiness to fulfill His promises also are expressions of His holiness. God’s desire to be with people is so great that it drove Him to send His Son, Jesus Christ, who is a supreme expression of holiness. Humans cannot of their own power attain absolute moral purity. People are called holy only as they enter a relationship with God, who is holy.21 Accordingly, all God’s people are holy, not because they are morally pure but because they respond to God’s call to follow Him, to trust His faithfulness. The scriptural idea of holiness also encompasses the depth and totality of commitment to God. It refers to being set apart or consecrated for service to God.22 Holiness from this relationship will penetrate every endeavor of life. Believers have a role in working, creating, teaching, supervising, building, restoring, caring, buying, and selling in ways that demonstrate God’s character. This requires managing the call to holiness, which paradoxically sets us apart from the world for a distinct service, but also calls us to the world for service. The ultimate purpose of a covenant relationship is to promote a life of well-being in the community. A suc­cinct description of ideal covenant relationships is given in the form of gracious guidelines for a flourishing life found in the Ten Command­ments.24 The most visible demonstration of the walk toward full well-being is that of Jesus Christ. Covenant relationships reveal the character of the participants. A covenant relationship is established so that those involved can be a blessing to others. Covenants are for nourishing interdependent relationships with others and with the wider community, not only for the present, but also for the long term. Covenants provide a means by which at least one participant can act in a redemptive way when the relationship is in need of recon­cilia­tion. A covenant relationship involves not just general, vague commitments but also specific commitments to particular actions. True obedience to the commandments comes not from the burdened sense of need to fulfill an arbitrary list of rules. In the Bible, walking in obedience to the com­mandments is a walk of freedom toward flourishing life, a walk guided by the restoration process and em­powered by God’s Spirit. This theme is sometimes expressed in the English translations of the Bible using the words peace, welfare, and similar terms. God’s plan for humans at Creation was for them to experience complete well-being in all its dimensions: a close relationship with Him, social harmony with others, physical and mental health, as well as international peace and prosperity for the community. This means living not only to serve self-interests but also to serve the interests of others. This experience came to be called shalom (peace). After sin the covenant prin­ciples contained in the Ten Commandments are God’s prescription for how to walk with God and with one another along the journey toward shalom.26 The law is prophetic of God’s promises of well-being. More than one Bible writer encourages us to pursue the blessings of shalom that come from God.27 Followers of God are called to extend the blessings of shalom to others. It is in serving others that the blessings accrue to ourselves. Even when one person or one organization cannot create well-being for an entire community, a person can create a taste of shalom for some. Sabbath is not just a doctrine. The pinnacle of covenant relationships in the Bible is the Sabbath. The weekly Sabbath offers a taste of shalom to all who keep it. Sabbath is a brief, weekly return to an Eden-like existence. When Eden was disrupted by sin, the hidden potential of Sabbath was revealed: spending time with God and laying aside the burdens of economic pursuits. The Sabbath day enables humans to continually renounce human autonomy and acknowledge God’s Lordship in our life. The weekly Sabbath is inseparable from and interdependent with work and the pursuit of shalom. One might even say that Sabbath might lose some of its meaning if on the other six days no work was done. Work loses some of its meaning when what the Sabbath stands for is ignored or rejected. Accordingly, we are called to foster both work to sustain human life and contentment in God’s faithfulness. We take Sabbath principles with us wherever we go. The ultimate purpose of a covenant relationship is to promote a life of well-being in the community. A succinct description of ideal covenant relationships is given in the form of gracious guidelines for a flourishing life found in the Ten Commandments. Sabbath is primarily about our living in a relationship with God resting from our daily work of being co-laborers with God in sustaining one another. It involves resting in the joy of God’s great gifts at Creation and redemption, and resting in God’s faithfulness in Christ on our behalf, which is sufficient for our salvation. Sabbath also involves resting in the hope that one day the shalom of Eden will be restored at the consummation of the Bible story. We often reduce the idea of justice to a matter of fair play. The Great Controversy story’s idea of justice is broader, encompassing all aspects of responsibilities to our fellow human beings and to God. In the Bible whenever a person fulfils his or her obligations, that person is behaving justly. Justice is the actions that a person takes to honor the rights of others. We pursue covenant relationships together, requiring that persons in authority treat those under their authority with fairness. Even strangers should be allowed to participate in the benefits of justice. In the Bible, justice is an active distribution system. Not merely the domain of the official court system, justice must go throughout the land. It is to flow down from those in high authority toward those with low authority and continue like a life-giving stream until it reaches the most vulnerable and needy. Justice must nourish everyone in the community, including enemies and strangers. All followers of God are called to contribute to justice in the social groups with which they interact. We must use technology in ways that foster justice rather than taking advantage of others. The faithful courageously intervene to correct injustices. It should be evident by now how much these themes overlap. Each presents a different facet of a unity of thought in the Bible. Accordingly, the theme of righteousness is sometimes intertwined with and used as a synonym for other themes such as justice, lovingkindness, and redemption. Righteousness means to be straight and firm or steel-like rather than slack.31 God is the source of righteousness. Humans are called upon to imitate God’s behavior in community. God’s actions show His faithfulness to His promises; these actions are the standard of righteousness. Righteous or unrighteous behavior is evaluated by the faith community in terms of the Ten Commandments. Actions that promote justice are righteous. While humans are called upon to behave righteously with one another, true righteousness is an action-gift of God. In contemporary terms, truth involves living a trustworthy life without hypocrisy. Truth means ensuring that all our actions have lasting reliability and our actions are a reliable indicator of what we stand for in re­lationship to God’s character. In es­sence, advancing truth means ad­vancing the cause of faithfulness to commitments in and around the community. Wisdom means being firm and well-grounded—first in God’s faithfulness and second in the business of living life, celebrating all the good that God has given us and pursuing all that contributes to true shalom. Wisdom is a mediator of God’s blessings of shalom. Since shalom is designed as a community experience, wisdom is for sharing! It involves lifelong learning in community. The practical knowledge dimension of wisdom cannot be understood apart from its relationship to covenant and redemption. Humans on their own are limited in their ability to gather true wisdom for all of life. Wisdom, like shalom, encompasses all dimensions of life envisioned in covenant relationships. Wisdom is the ability to consider something diligently or closely and thereby gain insight. The wise person becomes adept at dealing with all things material not for their own sake but for the sake of pursuing shalom. Closely related to wisdom is the idea of careful discretion when applying knowledge to everyday life. Prudence, the sibling of wisdom, is also an action concept. Prudence is, among other things, the ability to keep oneself from being misled, an important dimension of participating in the pursuit of shalom. Of what value is a relationship to either party if the main emphasis is on following arbitrary rules? Not much in the long run. Without lovingkindness, covenant relations would disintegrate. Redemption in the Bible story means to act on this kinship loyalty bond as a kinsman to buy back, ransom, liberate, rescue or save.39 Through His actions of redemption God provided a means of reconciliation and transformation. Transformation is possible only through the faithfulness and the power of God. When acting for redemption, God came close to those needing a restored relationship. He encourages and empowers rather than coerces. Redemption accomplished by Jesus Christ is not limited just to spiritual forgiveness of sins; it includes the whole earth.40 Ultimately, redemption involves the process (and result) of completely restoring all dimensions of shalom on a new earth. In our sphere we are commissioned to be agents of redemption by showing God’s power in our lives through actions and by sharing with others the gospel. While the themes can be com­prehended individually, the full un­der­- standing of each requires under­standing the others. Scripture themes presented here are interrelated, interwoven, and interdependent. Covenant is interrelated with loving­kindness, truth, wisdom and shalom. In wisdom we see a close connection with covenant. Justice is connected with shalom, covenant, and loving­kindness. In Sabbath and creation we find elements of shalom. The Great Controversy theme intersects with the other themes. Each theme deserves a complete exploration of its richness in order to see how it might be useful in any particular part of the curriculum. Biblical themes are a valid source for curriculum design in an educa­tional program that seeks to be founded on Scripture. The next section of this article provides a series of examples of how biblical themes can be interwoven through all traditional elements of the curriculum, including learning goals, course content, teaching/learning methods, and assessment. • Learning goals. Incorporating a biblical theme as one of the learning goals might be a natural starting place when considering biblical themes as a foundation for learning. For example, the biblical theme of faithfulness (often translated into English in the Bible as “truth”) might be incor­porated in the following learning goal in a literature course (or a degree program): “Students will be able to describe how they understand the significance of ____________ (identify the biblical theme) in life experience as represented by selected works of literature.” Such a learning goal can be implemented at various levels: from one unit of study, one course, or one year, to larger-scale applications, spread over multiple years, for a whole degree program. With this learning goal guiding the teaching-learning process, students and instructors can collaboratively explore multiple passages of Scripture in which the concept of truth is central. Over time, they can then collect and synthesize their learning about the theme as one aspect of God’s character, as a key element of the work of Jesus Christ, and as an eternal truth; they can then discuss how these themes, when put into action, foster flourishing life together in community. When difficulties arise with the practical implementation of the concept, this will provide students and instructors with an opportunity to develop careful thinking skills. • Course content. There is in­sufficient time to teach everything about every subject relevant to every grade level and degree program. As instructors, we make trade-off-prone choices when selecting content to achieve learning goals. Several questions that will help the instructor identify the basis of the course are these: Which biblical themes are im­portant in the context of what my students are learning? What content, if incorporated, would provide a natural bridge to help students establish their learning on a scriptural foundation? What content, viewed as important by experts in the field, needs to be re­viewed in light of one or more biblical themes? For example, in a business-degree program where applied economics is taught, the dominant secular per­spective needs to be explored in the context of a biblical view: Is it ever appropriate for a firm to exist entirely for the purpose of maximizing economic value for shareholders? Here, for the instructor who wishes to offer a biblical foundation for stu-­ d­ents, the traditional egoist perspective in business finance can be contrasted with the biblical themes of shalom, truth, covenant, wisdom, and other values. The instructor can lead students in a discussion of the ethical, legal, and social complexities, the competing goals that exist when the needs of shareholders and the needs of others are considered in light of the biblical principles of community flourishing. Direct application of the rich concepts embedded in biblical themes can be made in some cases. The themes of loyalty and faithfulness provide an opportunity to explore with students why these are so important in the work of a manager, accountant, physician, elementary teacher, nurse, electrician, therapist, pilot, researcher, and scores of other vocations. The bigger purpose of a field of study or a profession can be explored in terms of one or more biblical themes. Teachers and students thus have an opportunity to explore the implications of the themes for a variety of vocational activities. For example, the theme of wisdom has potential application in terms of purpose in the arts, sciences, human­ities, and professions. The purpose of a profession can be seen as part of a social institution that takes responsi­bility for gathering and preserving marketplace wisdom that contributes to faithful, loyal relationships. As the profession contributes to faithfulness and loyalty, it also fosters human flourishing. The Bible is not an encyclopedia of knowledge for all academic disci­plines. It is difficult to teach con­- temporary course content directly from Scripture for some subject content such as mathematics, bio­chemistry, physics, social work, and many other disciplines. However, biblical themes can be used as the deep frameworks within which to understand the significance of disci­pline-specific content. For example, the five senses (hearing, sight, touch, smell, and taste) can be approached ­more broadly than the way they might be traditionally addressed in an anatomy and physiology course. The human hand and eye, each by itself a won-­ der of creation, are both functional primarily in a social context. Each has the potential for nurturing covenant relationships or in other ways con­tributing to flourishing life. Accordingly, addressing the nature of covenant relationships from the biblical point of view and how the human anatomy is designed to work with God’s plan for flourishing offers the student a deep foundation for studying the technical elements of the human body. Humans were designed by God to contribute together for flourishing. Grounding the class content in the biblical perspective offers a natural opportunity for explicit worship to the Creator in the context of a life-science course. Direct application of the rich con­cepts embedded in biblical themes can be made in some cases. The themes of loyalty and faithfulness provide an opportunity to explore with students why these are so important in the work of a manager, accountant, physician, elementary teacher, nurse, electrician, therapist, pilot, researcher, and scores of other vocations. Reflective judgment and careful thinking can be enhanced as the students and instructor explore various ways that loyalty and faith­fulness are expressed by leaders as well as the tensions that leaders face when there are multiple loyalties at stake or when contingencies arise that make it difficult to be faithful to one’s promises. One of the most obvious places for direct application of biblical themes is in considering the ethical behavior related to a particular field of study or professional service into which students are preparing to enter. • Teaching-learning methods. Learning can be promoted by using scriptural themes (and in some cases, the narratives in which they are em­bedded) as examples of course content. Students can be asked to think of Bible stories that prima facie illustrate an element of the course content. Another use of biblical themes: helping students gain a deeper under­standing of the person and work of Jesus Christ, which can result in a deeper commitment and, perhaps, more consistency of lifestyle. For example, we can see the wisdom of Jesus as He answers the tricky questions posed by scribes and Phari­sees, and from this learn lessons for handling our own relationships with others. But, at a deeper level, un­derstanding the nuances of the biblical concept of wisdom (when considering its many uses across various Bible writers) can lead us to more unre­servedly worship Jesus Christ, who embodies the Wisdom of God in the particular ways that He designed creation, the richness of the wisdom of God in the design of all Ten Com­mandments, which contribute to a flourishing life, and the encompas­sing mercy of God in sending Jesus Christ to be the fulfillment of the great plan of salvation. When the deeper significance of a biblical theme surfaces in the class­room and points in an obvious way to the work of Jesus Christ, this can spark a time of corporate worship. If done multiple times throughout a course and then spread throughout the curriculum in a degree program, stu­dents will understand that worship is not limited to religious activities performed in a church building, but rather something that can be ex­per­i­enced throughout the human lifetime. Learning experiences can incorp­orate biblical themes in a variety of ways. The instructor might lead in discussions or debates where an eternal truth embedded in one of the biblical themes is a central concern. Students can write a personal re­flection paper in which they con­sider the personal implications of both course content and the essence of a biblical theme for their life in a speci­fic context. A term paper assignment can ask students to reflect on the implications of one of the themes for society as a whole or to provide ex­amples of how a particular biblical theme functions in a given profession or other human activity relevant to the course. When integrative cases are assigned to help students pull together a variety of perspectives on a real-world situation, one or more biblical themes can be brought into the discussion to help them explore how faith is lived in the context of that particular case. • Assessment. Through assessment, we signal to students what is important. If the biblical perspective is left out of assessment, what signal is being given? Assessment ties together the learning goals, the course content, and the teaching-learning activities. For example, using an objective as­sessment device, the instructor can evaluate how well students understand the content of one or more particular biblical themes relevant to the particular course. Or students can be asked to describe the significance of a particular theme in terms of the course content. Evaluation of personal commitment to the central ideas em­bedded in one or more biblical themes might be an appropriate assessment of an affective learning goal in some courses. Or in an essay exam or term paper, the instructor might evaluate students’ ability to synthesize complex thinking regarding one or more eternal truths relevant to the big questions in the field of study. As scriptural thinking saturates the minds of administrators, teachers, and students, it will contribute to the teaching and learning process. These themes can form the basis of a per­sonal philosophy of teaching and learning, allowing the teacher, stu­dent, or administrator to shape a per-­ sonal worldview using the tapestry of biblical themes. The usefulness of biblical themes is not limited to addressing theoretical questions. These themes can elevate the thoughts and emotions, unlock the imagination, and enhance critical thinking. Many of the themes are action oriented, which provides the scholar with the opportunity to explore their implications for ethical conduct. The themes may also be useful to evaluate contemporary theories and shape a research agenda. From an education point of view, these themes collectively apply to a variety of academic disciplines and educational endeavors. 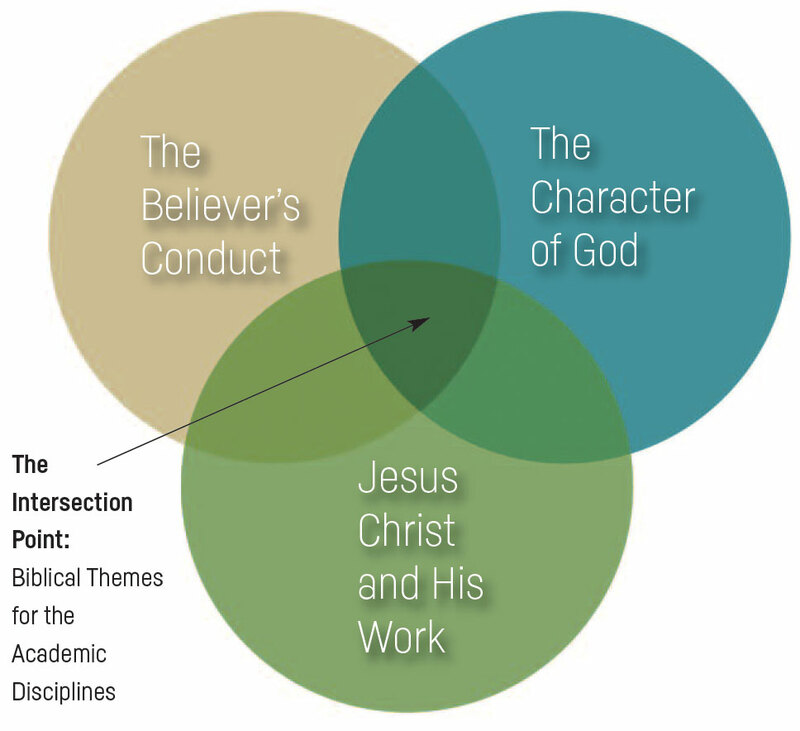 When even one of these themes is used as the foundation for curriculum, the in­structor can be assured that it has roots in the character of God and the the identity of Jesus Christ as well as direct implications for our conduct. These themes seem relevant for curricular, co-curricular and extra-curricular activities. They are relevant to classroom instruction, student as­signments, internships, student clubs and organizations, student employ­ment on campus, and study tours. They are relevant to the work of Boards of Trustees and administra-­ tive teams charged with oversight responsibilities. They can potentially comprise the core of the biblical worldview for any human profession or endeavor. Each theme may not be readily applicable for every course, at all grade levels; however, as a collection, they are broadly useful. Further, the richness of some of the themes may not be as intellectually accessible to younger students as they might be for graduate students. However, it is possible to teach the idea of loyalty to 1st graders just as easily as to teach the same concept to secondary-level or postgraduate students. In graduate school, the deeper nuances of thought and application of what loyalty means in complex relationships might be more appropriately explored, since the students are more likely to be ready for such dialogue. Revising the educational curricula using these and other biblical themes contributes to the great object of ed­ucation: the restoration of the image of God in humans.41 Whether inte­grated into the multiple subjects of an elementary school curriculum, throughout an undergraduate pro­gram, or across multiple years of study in one subject area, students and faculty alike will learn to see the deep implications of these themes. The more extensively these themes permeate the curriculum, the more power they will have. Practically, there are enough of these biblical themes to share throughout the curriculum at all levels. As instructors become captivated by the significance of the themes and the deeper thinking each represents, they may find new energy with which to approach the develop­ment of a biblical foundation. The great object of education does not end in graduation from college or graduate studies. As students and faculty engage these themes in their formal studies, they lay the groundwork for a lifetime of learning ex­per­iences rooted in Scripture. 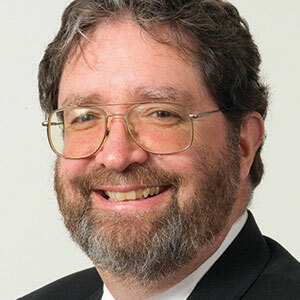 Michael E. Cafferky, M.Div., M.P.H., D.B.A., is Professor of Business and Management at Southern Adventist University in Collegedale, Tennessee, where he has taught for 13 years. With more than 20 years of experience in the health-care industry, he has held middle- and senior-management positions such as a Director, COO, CFO, and interim CEO. He completed a Doctor of Business Administration at Anderson University, Falls School of Business, in Anderson, Indiana. During the fall semester, 2011, as part of his sabbatical, he spent five weeks at Cambridge University, Cam­bridge, England, studying faith and business issues. He is the author of hundreds of articles and six books in­cluding Business Ethics in Biblical Perspective: A Comprehensive Intro­duction (Westmont, Ill.: InterVarsity Press, 2015). This article asserts that the themes introduced here are among the grand, noble themes of Scripture. Other themes are useful, too. Regarding the themes of Scripture, Ellen White says, “The subjects treated upon in the word of God, the dignified simplicity of its utterance, the noble themes which it presents to the mind, develop faculties in man which cannot otherwise be developed. In the Bible, a boundless field is opened for the imagination. The student will come from a contemplation of its grand themes, from association of its lofty imagery, more pure and elevated in thought and feeling. . . . These truths will do a mighty work” Christian Education (Battle Creek, Mich.: International Tract Society, 1894), 189. Applied economics and business. In addition to word studies, concept studies, study of biblical narratives and many passages, the author also read the scholarly biblical literature regarding the biblical themes that emerged. This study added a depth of understanding to the conceptual frameworks embodied in these themes. John 12:45; 14:9; Colossians 1:15; Hebrews 1:3; 1 John 5:20. Matthews 7:21; Luke 6:46; 11:28; Colossians 3:17; James 1:22; 4:17. Additionally, the author has found textual evidence that in one way or another supports the claim that all but one of the themes presented here (Sabbath) are associated with the Holy Spirit. These are not the only themes of Scripture relevant to teaching and learning. They seem to be the broad themes that encompass many others. 1975, 1977, 1995 by The Lockman Foundation. Used by permission. www.Lockman.org. Examples of biblical support for this theme: Jesus Christ and His work: Genesis 3:15; Matthew 10:1; 13:37-39; Mark 3:14, 15; John 12:31, 32; 16:8-11; 1 John 3:8. The character of God: Exodus 34:6, 7; Ephesians 3:8-11; Colossians 1:15-20; 1 Peter 1:18-21; Revelation 16:7; 19:11; The believer’s conduct: 1 Corinthians 4:9; 2 Corinthians 10:4-5; Ephesians 6:12-17; 1 Thessalonians 5:4-8; 1 Peter 5:8, 9; 1 John 3:10-14; Revelation 14:12. Examples of biblical support for this theme: Jesus Christ and His work: John 1:3; Hebrews 1:1, 2; Revelation 4:11; The char­acter of God: Psalm 19:1-6; 104:24; John 1:3; Acts 17:24-26; Romans 1:18-20; The believ­er’s conduct: Genesis 1:26-28; 2:15; Psalm 8:3-6; 1 Corinthians 3:9; 2 Corinthians 3:18; 5:17; Ephesians 2:10; Colossians 3:10; 1 Timothy 4:4. Ellen G. White, Education (Mountain View, Calif., 1903), 15, 16. Examples of biblical support for this theme: Jesus Christ and His work: Isaiah 53:9; Luke 1:35; Acts 3:14; 4:27; Romans 1:4; 2 Corinthians 5:21; 1 Peter 1:18, 19; 2:21, 22; Hebrews 7:26; 1 John 3:5; The character of God: Exodus 15:11; 1 Samuel 2:2; Psalm 77:13; 89:18; Isaiah 5:16; 43:15; John 17:11; Revelation 15:4; The believer’s conduct: Deuteronomy 28:9; Psalm 15:1-5; 34:14; Proverbs 9:10; 1 Peter 3:11; 2 Timothy 2:22; Ephesians 1:4; 1 Peter 1:15, 16; 2:21, 22; 2 Peter 3:11. Leviticus 20:26; Deuteronomy 7:6; 14:2; 26:19. Leviticus 18:3; 20:26; Numbers 23:9. Examples of biblical support for this theme: Jesus Christ and His work: Deuteronomy 4:13; Matthew 22:36-40; John 17:2; Malachi 3:1; The character of God: Deuteronomy 7:9; Psalm 111:9; 119:142; Isaiah 54:10; Jeremiah 32:40; The believer’s conduct: Deuteronomy 6:6; 7:9; Psalm 19:7; Jeremiah 31:33; 2 Corinthians 3:4-6; Galatians 5:14; Hebrew 10:16; Revelation 14:12. Exodus 20:1-17; Deuteronomy 5:1-22. Scripture summaries of the Ten Commandments in other places: Psalm 15, Isaiah 33:14, 15; 56:1, Micah 6:8; Matthew 5-7; 22:37-40; Mark 10:19, Luke 18:20, Romans 13:8-10. Examples of biblical support for this theme: Jesus Christ and His work: Isaiah 9:6, 7; 53:5; Luke 1:79; 2:14; Romans 5:1; Ephesians 2:14; Colossians 1:20; The charac­ter of God: Psalm 35:27; Isaiah 54:10; Ezekiel 37:26; Romans 16:20; 2 Corinthians 13:11; Hebrews 13:20; Revelation 6:4; The believer’s conduct: Psalm 29:11; 34:14; Proverbs 16:7; Isaiah 48:18; Jeremiah 29:7; Romans 14:17; 2 Corinthians 13:11; Colossians 3:15; Galatians 5:22; Philippians 4:7; 1 Thessa­lonians 5:23; 2 Timothy 2:22; 1 Peter 3:11, 14. Psalm 1:1-3; 34:6-10; 85:9-13; 119:1; Romans 8:4; 2 John 1:6. Psalm 34:14; 122:6; Isaiah 32:17; Romans 6:12-14; 2 Corinthians 13:11; Galatians 5:22; Philippians 4:7; 1 Thessalonians 5:23; 2 Timothy 2:22; 1 Peter 3:11. Examples of biblical support for this theme: Jesus Christ and His work: Mark 2:27, 28; The character of God: Genesis 2:3; Exodus 20:8-11; Deuteronomy 5:12-15; The believer’s conduct: Exodus 20:8-11; 31:13-17; Mark 2:27, 28. Examples of biblical support for this theme: Jesus Christ and His work: Psalm 89:14; Isaiah 9:6, 7; Jeremiah 23:5; Zechariah 9:9; Matthew 12:14-21; The character of God: Genesis 18:25; Deuteronomy 10:18; 32:41; Psalm 19:9; 33:5; 89:14; Proverbs 16:11; Isaiah 5:16; The believer’s conduct: Deuteronomy 16:18-20; Psalm 25:9; 82:3, 4; 106:3; Proverbs 2:6-9; 8:20, 21; 21:3; Ecclesiastes 5:8; Isaiah 10:1, 2; Amos 5:24. Examples of biblical support for this theme: Jesus Christ and His work: Psalm 89:14; Jeremiah 23:5; 1 Corinthians 1:30; Romans 1:16, 17; The character of God: Psalm 7:9; 19:9; 33:5; 145:17; Isaiah 5:16; 9:6, 7; Romans 3:21-26; 2 Peter 3:13; The believer’s conduct: Psalm 15:1, 2; 106:3; Ezekiel 45:10; Matthew 6:33; Romans 3:21-26; 14:17; 2 Corinthians 5:21; Epesians 6:12-17; 2 Timothy 2:22; 1 John 3:10-14. Exodus 9:27; Deuteronomy 32:3, 4; Psalm 15; 24; 31:1; 36:10; 37; 40:10; 71:2; 88:10; 89:14; 112; 145:17; Isaiah 46:13; 51:5-8; Jeremiah 9:24; Matthew 5:20; 6:1; Luke 1:6; 23:47; John 16:8-10; 1 Corinthians 1:30; 1 Peter 3:10-12. Examples of biblical support for this theme: Jesus Christ and His work: 1 Kings 2:4; John 1:14, 17; 14:6; 2 Corinthians 13:8; Ephesians 4:21; 1 John 1:6; 2 Peter 2:1-3; The character of God: Exodus 34:6; Psalm 19:9; 57:10; 86:15; 89:14; 111:7, 8; 117:2; 119:142; The believer’s conduct: Psalm 15:1, 2; 51:6; Proverbs 3:3; 23:23; John 16:13; 17:17; Galatians 5:22; 1 John 1:6; 5:20; 3 John 1:8. Genesis 42:16; Exodus 18:21; Joshua 24:14; 1 Samuel 12:24; 1 Kings 22:16; Prov­erbs 3:3. Proverbs 20:6. When the prophet Zechariah predicted the fulfillment of all the hopes and dreams for God’s work of bringing shalom, he described the experience as truth. See Zechariah 8:3-19. Examples of biblical support for this theme: Jesus Christ and His work: 1 Corinthians 1:24, 30; Proverbs 8:22-30; Luke 2:40, 52; Colossians 2:3; The character of God: Psalm 104:24; Proverbs 2:6-9; 1 Corinthians 1:24; Ephesians 3:8-11; The believer’s conduct: Psalm 19:7; 51:6; Proverbs 3:13; 23:23; Jeremiah 9:23, 24; Romans 12:16; Colossians 1:28; Revelation 13:18. Examples of biblical support for this theme: Jesus Christ and His work: Psalm33:5; 89:14; John 1:14; 15:13; Romans 8:39; Ephesians 5:2; The character of God: Exodus 34:6; Deuteronomy 7:9; Psalm 89:14; 86:15; 117:2; 2 Corinthians 13:11; 1 John 4:8-10; The believer’s conduct: Micah 6:8; John 13:35; 1 Corinthians 13:13; Galatians 5:14, 22; Colossians 3:14; 2 Timothy 2:22; 1 John 3:10-14. Proverbs 3:3; Hosea 12:6; Micah 6:8; Zechariah 7:9. Examples of biblical support for this theme: Jesus Christ and His work: Mark 10:45; Romans 3:24; 5:10-11; 8:29; 1 Cor­inthians 1:30; 2 Corinthians 5:19; Galatians 3:13; Ephesians 1:7; 2:16; 3:8-11; Colossians 1:20; 1 Peter 1:18-21; Hebrews 9:12. The character of God: Job 19:25; Psalm 7:10; 18:2; 34:18; 111:9; 79:9; Isaiah 45:15; 48:17; Jeremiah 50:34; Habakkuk 3:18; Ephesians 1:13, 14; Titus 3:4, 5; The believer’s conduct: Isaiah 1:27; Acts 4:12; 1 Corinthians 6:20; 2 Corinthians 5:18-20; Ephesians 6:12-17; 1 Peter 1:18-21. Exodus 6:6; Leviticus 25:48, 49; 2 Samuel 4:9; Ruth 3:13; Job 6:23; Psalm 25:22; 31:5; 69:18; 72:14; 111:9; 119:154; 130:3; Lamentations 3:58; Luke 1:68; Romans 3:24; Galatians 4:5; Titus 2:14.